The last sweater knit, and first pattern available from Finish-Free Knits was the Hope Top. Designed for seed-stitch lovers (like me), Hope can be worn alone or over a fitted blouse, with a skirt or jeans. 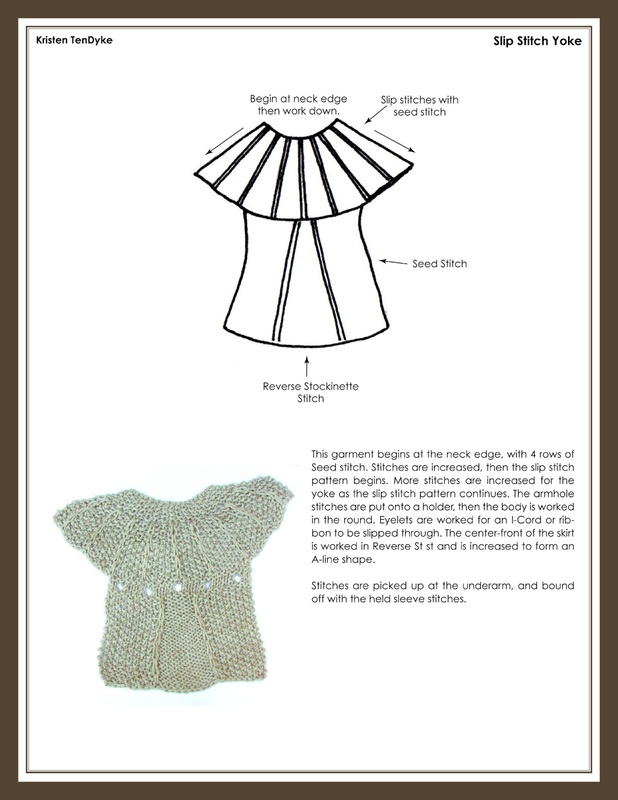 It is worked from the top down with beautiful details along the way, including a dainty button closure at the back neck, prominent slipped stitches along the yoke, and a drawstring waist. Knitted in a blend of linen and merino at a fine gauge, this sweater is a joy both to knit and wear. Hope is one of those designs that transformed itself between conception and completion. As you can see in the sketch it looks a little different from the sweater in the photo. It looked good on paper, at first, but as I began writing up the pattern, some things dawned on me. I had also originally wanted to put a drawstring through eyelets at the dividing line. But, I felt that the eyelets would pucker the fabric more than I'd like for this design, so decided to knit an enclosed casing instead. This way when the drawstring is pulled taught, the fabric eases in around the entirety rather than pleating as it would with eyelet holes. This was the very last sweater I knit for the book, and that's sort of how it got its name. All while knitting it, on teeny-tiny needles, I was really hoping I'd get it done on time to meet the deadline. Thus: hope. Also, for this past season of Knitting Daily TV, I appeared in a segment to discuss the Hope Top, and explain a little bit about its seamless properties, including the tie-casing at the waist. To complement the video, Knitting Daily offered the pattern for this design for free! 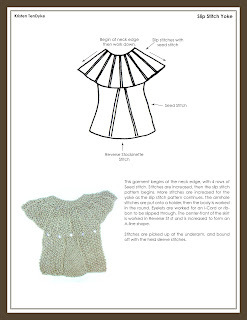 So, in addition to the pattern being available in the book, it can also be downloaded from their website for free. 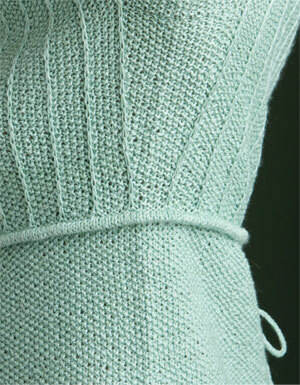 Check out the Knitting Daily TV segment below, to learn how I seamlessly knit the casing!